Hunting for a high-quality contractor and construction signage? Look no more! Kachina Sign Center is just the right partner you have been looking for. We are always pleased to use our vast experience in signage designing to ensure that you get value for your investment. We strive to help clients meet their objectives effectively through our high-quality signs. Our incredible construction and builder signs come in the form of equipment signs, construction site banners, and post & panel signs to name but a few. Why are contractor and construction signs important? Contractor and construction signs play a significant role in informing curious drivers and pedestrians on what is being constructed on any site. You can also rely on Kachina Sign Center for attention-grabbing demolition company signage, monument signs, vehicle lettering and custom signage of your preference that will communicate your message precisely without inconveniences. A well designed, eye-catching and durable contractor and construction signage are just what you need to show curious potential tenants of what’s coming up. This signage also allows contractors to tell the world that they are in charge of the upcoming project. They are an excellent means of attracting new business. After putting all these into consideration, working only with the best signage contractors in your region is an added advantage. It is almost criminal to engage in any construction activities without erecting awareness signs as a contractor. You can rely on us to do the right job that will ensure that you not only leave a long-lasting impression to all your clients, competitors and even potential clients but also prove that you are a law-abiding contractor. 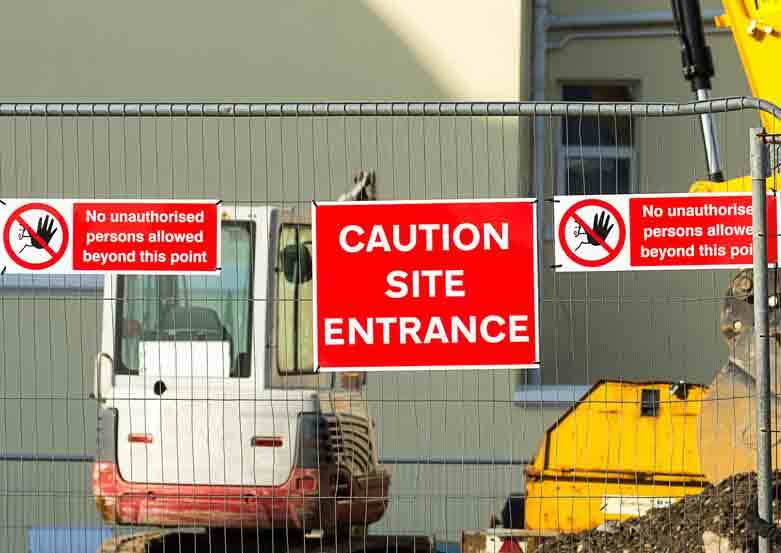 Apart from being informative, contractor /construction signs and graphics promote safety. For this, these signs have to be done using the right skills and equipment making us perfect for the job. Liabilities due to negligence can easily sabotage your reputation as a constructor. To avoid such costly inconveniences, you need to partner with a reliable signage contractor such as Kachina Sign Center for timely deliveries. Don’t allow inexperienced signage contractors to slow you down with their incompetence. Let us help you professionally. At Kachina Sign Center, we are dedicated to providing all sorts of building/construction development, messaging and architectural signage including; bronze plaques, metal signs, on-location signs, excavation signage, workers directional signage, restricted area signage, construction site safety signs and dimensional lettering among many others at pocket-friendly prices. We understand that exorbitant signage companies are fond of taking advantage of desperate building contractors. With us, you can rest assured of getting high quality, durable yet affordable building signs that will free your business from liabilities. Choosing us means working with the best in Tucson, Arizona. Make the right choice today and call Kachina Sign Center.